It’s hard to believe that we’re approaching the end of 2012. The older I get, the faster the time flies. This might be wishful thinking, but here’s another list of recommended ways that dealers should change for the better in the coming year. I know a lot of car dealers read my blog, my column, and listen to my radio show. You dealers should understand and take responsibility for the fact that we rank ethically last among all professions, tied with politicians, lobbyists, and lawyers. (1) Eliminate your dealer fee. We had shown some progress in dealers eliminating their dealer fees in Palm Beach County. Palm Beach Toyota and Royal Palm Toyota dropped their dealer fee three years ago and Treasure Coast Toyota eliminated there’s two years ago. This was due, not to a “moral revelation” by the dealer or legislative action but economic pressure. Palm Beach Toyota, Royal Palm Toyota and Treasure Coast Toyota are my three nearest competitors. But unfortunately, all three of these dealers recently reinstated their dealer fee. In fact, Royal Palm and Palm Beach increased their dealer fee to $999. The only additional costs passed to your customer should be federal, state, or local taxes and/or fees like Florida sales tax. This is the generally accepted practice in retailing all other products and services. A price is quoted to your customer when you communicate a price in any fashion including advertising a price in the newspaper, radio or TV, painting a price on a windshield or sign, saying a price over the phone or in person, or giving a price over the Internet. Your “dealer fee” is profit for you. It is not a “fee” and it should be included in your price. (9) Don’t guarantee the lowest price with qualifications that cannot be met. Your qualifications are usually that you “reserve the right to buy the other car from the other dealer who beat your price” and that the customer must have a signed buyer’s order from the other dealership. You know that the other dealer will never agree to sell you that car and you also know that the chances of the customer getting out of the dealership with a signed buyer’s order without taking delivery are slim and none. Dealers reading this, I dare you to show me evidence that you have honored your guarantee with just one customer. I’ll make you a bet that you have never honored that guarantee. (10) Don’t offer a minimum $10,000 [or some other high number] for every trade-in. Sometimes these ads, say “if you can push, pull, or drag your old car in we will give you at least $10,000 toward the purchase of a new car. You then mark up the new car so high; you are not really offering the customer anything more than the wholesale value, if that. 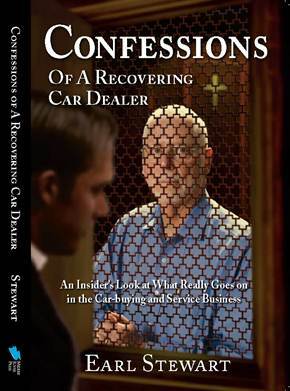 I’m excited and proud to announce the publication of my first book, Confessions of a Recovering Car Dealer! If you’ve been reading my blog or my Hometown News column for the last 7 years, I know you will really enjoy this book. Some subjects may be familiar, but I also have added tons of new information as well as lots of historically interesting pictures, dating from 1937 to the present. Before you get mad at me for using this column to sell books, be aware that 100% of the selling price of my book is going to charity. Not only am I not making a nickel off this book, but I’m also including my cost of publishing in the amount I’m donating to charity. My purpose in writing this book is the same as my purpose in my Hometown News column and blog, to help you through the hazardous process of buying, leasing, and servicing your car. You can buy this book at my dealership, Earl Stewart Toyota of North Palm Beach, or you can buy it online by going to www.EarlsBook.com. You can charge it to your Visa, MasterCard, American, Express, Discover card, or use PayPal. If you’re curious about my title, it goes to the fact that I wasn’t always a consumer advocate for car buyers. 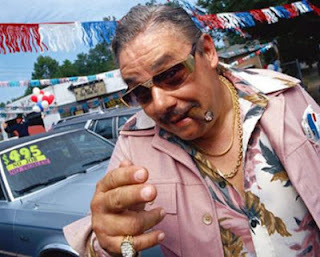 I’ve been a car dealer since 1968 and I used to be a lot like the very car dealers that I criticize today. Frankly, my advertising and my sales practices back in the day are things that I’m ashamed of now. I refer to myself as “recovering” in the sense that a drug addict or alcoholic is recovering. This column, my blog, and my radio show are like parts of the “Twelve Steps” of a recovery program. People ask me all of the time “What made you change?” but I can’t give them a simple answer. It wasn’t an epiphany or an instant revelation, but more of an evolution. It might have begun when I sensed how much smarter and more sophisticated and demanding my customers were becoming. I know that my sons coming into the business had a major effect as did my second marriage. My oldest son told me that he chose to come into the business with me because he could tell his children, my grandchildren, how proud he was to work at Earl Stewart Toyota. Fighting a successful battle against colon cancer several years ago also was a factor. There’s nothing like the realization of one’s mortality that puts the important and unimportant things in life in perspective. Lastly, I would chalk it up maturity. I’m one of those that believe we truly get wiser as we age. Notice I said “wiser” not smarter. There are a lot of young, very smart people but, in my opinion, they lack the wisdom of their elders. My book is divided into six sections. The first is “Research” which explains how you should go about deciding what type and make of car you should buy and how to select the right dealer from whom to buy it. Section two gets into the actual buying process. 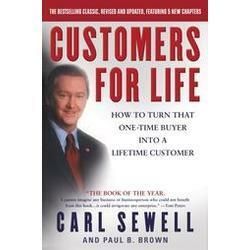 One chapter is entitled “Emotion is Your Enemy When Buying a car” and another is “Holdback is Holdup for Consumers”. Section three is “F & I (Finance and Insurance). Two of the best chapters are “Buying a Car When You Have a Credit problem” and “Should You Buy an Extended Warranty?” Section 4 is “About Used Cars”. If you read the chapter “Ten Tips for Buying a Used Car”, you’ll be forearmed and forewarned against making a huge mistake. Section Four is “Leasing”. More people get taken advantage of when they lease a car than when they buy. Read this section very, very carefully. Section six is “Service”. This is the longest section of my book because you spend a lot more time buying service and repairs for your cars than you spend buying the car itself. This section also addresses the body shop which you hopefully use very seldom but which can be very hazardous if you don’t understand your rights. If you have a friend or relative who you would like to do a favor, why not consider making a gift of Confessions of a Recovering Car Dealer? It would make a great present for a son, daughter or grandchild. Most of the complaints on car dealers that I hear from callers on my radio show or read on my blog could have been avoided if the victim had been better educated on the car buying and servicing. There was an obscure legal decision made last month by Chief U.S. District Judge M. Casey Rodgers that if upheld, will make it much more difficult for you to have your new vehicle repaired under warranty by Florida car dealers. 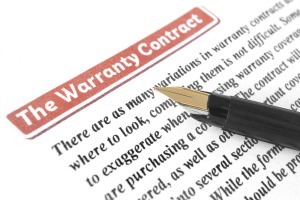 In May of 2008 a state law was passed that required manufacturers to reimburse their dealers the same rates for warranty parts and labor that the dealership charges retail customers. Up until this time, only warranty labor was reimbursed to dealers at the same rate as the labor rate charged to customers. Immediately, the powerful lobbying group, Alliance of Automobile Manufacturers, AAM, filed a legal challenge to this law, attacking retail reimbursement for parts and labor. This powerful lobbying group represents 12 manufacturers including GM, Ford, Chrysler, Toyota, and Volkswagen. As you know, money talks and few lobbying groups have more money than AAM. Ironically, a lot of that money, at least from, GM and Chrysler, came from you and me, the taxpayers, when we bailed out these two companies not long ago. Judge Casey’s decision issued last month said “Automakers’ claims regarding warranty reimbursement have merits and the case should move forward in court.” The AAM lobby charges that “the parts and labor reimbursement provisions violate the due process clause of the Florida Constitution and the contracts clauses of the U.S. and Florida constitutions.” That is legal gobbledygook created because they can’t come up with a real reason why this law isn’t a good and fair one for the car owner, dealer, and manufacturer, so they’ll look for technical loopholes in the law and “creative” interpretations of the Florida and U.S. Constitutions. As is virtually always the case, legal disputes are about money. For the automakers, warranty reimbursement to auto dealers is measured in billions of dollars annually. These billions of dollars comes out of the pockets of GM, Ford, Chrysler, Toyota, Volkswagen, and all other automakers and go into the pockets of their dealers. Shockingly, the only party that isn’t represented in this legal battle is you, the car owner. But you have a huge financial stake in this because, if the automakers prevail in court, you will find it much more difficult to get your car repaired under warranty by any car dealer in Florida. This doesn’t only apply to repairs but to “free maintenance” which most manufacturers are now touting for their new cars. You may even find yourself paying for warranty repairs and “free maintenance”. I’ll explain. I’ve been a car dealer for 44 years, since 1968. Back then, there were no laws requiring the automakers to reimburse their dealers for performing warranty work at a fair rate. As a consequence, dealers didn’t want to repair cars under warranty. The reimbursement was so low that they actually lost money or, at best, broke even. The amount of reimbursement by the automaker wasn’t enough to pay the technician for his work and cover the dealers’ overhead expenses. If you’re old enough, you remember that back then you could take your new car back only to the dealer from whom you bought it for warranty work. Your selling dealer had more motivation to do warranty work on y our car even though he made little or no profit because he did make a nice profit when he sold it to you and wanted to sell you your next car. If you were on a trip, far from your selling dealer, it was almost impossible for you to find a dealer who would agree to fix your car under warranty. Another negative consequence of under-reimbursing dealers for warranty labor and parts is that the dealer is not inclined to tell you that the repairs are covered by your warranty. When you drive in to the service aisle of your dealer, that person who greets you is paid on commission. He doesn’t call himself a service salesman, but that’s what he is. His title will be service “advisor”, service “writer”, or assistant service manager. This person feeds himself and his family by how much commission he can make on the profit he makes repairing your car. If he repairs it under warranty at a very low rate and no profit, he doesn’t make much of a commission. Today, because dealers make the same profit on labor and parts for warranty as the do for non-warranty work, they love to repair your car under warranty. In fact, they will even cajole the manufacturer to stretch and perform repairs under warranty when your car is only slightly out on miles and or time. There’s still another negative consequence for automakers not fairly reimbursing dealers for warranty labor and parts. The technicians who repair your car and perform maintenance on it also work on commission. Today, they love to repair your car under warranty because they make just as big a commission fixing a car under warranty as they do when it’s not covered under warranty. If the automakers have their way in court, the technicians will not want to work on your car. What happened many years ago before there were laws requiring fair warrant reimbursement is that the lowest paid, least trained and experienced technician in the shop ended up doing your warranty repairs. Usually this was the new apprentice who was learning to fix cars and was paid a low, starting wage. If you were lucky enough to find a dealer to do the warranty repair, you had good reason to fear that the repair wasn’t done in a proper, safe, and timely fashion. Now, I think you understand why it’s so important to you, the new car owner, that Florida’s law requiring fair reimbursement by automakers to car dealers for warranty repairs and maintenance is upheld. The court battle is being waged between the car dealers lobbying group, the Florida Automobile Dealers Association, FADA, and the automakers, Alliance of Automobile Manufacturers. You, the new car buyers, don’t even have a dog in this fight. This is one of the rare cases where the car buyer and the car dealer on the same side, albeit for different reasons. It’s unfortunate that we don’t have a powerful consumer lobbying group in Florida like they have in other states like California. This legal fight is all about who has the most money and unfortunately the automakers have the auto dealers outgunned. The Florida Automobile Dealers Association is struggling to raise another $2M on top of what they’ve already spent. That’s “chump change” to GM, Ford, Chrysler, VW, and Toyota. The odds aren’t even 50-50 that the car dealers can win this and all you can do is sit back, watch, and say a prayer.